The following are frequently asked questions (FAQs) to assist U.S. Department of Health and Human Services (HHS) charge cardholders during the transition from their current government-issued travel cards to their new government-issued travel cards from Citibank, effective November 30, 2018. For general questions about the transition, please contact your Agency/Organization Program Coordinator (A/OPC) or Operating Division (OpDiv) Lead Federal Agency Travel Administrator (FATA). Why do I need to change travel cards? HHS is transitioning from JPMorgan Chase to Citibank as its bank and charge card provider. This requires HHS employees to receive new cards. When will I receive my new travel card? You will receive your new travel card between November 1 and November 9, 2018. Activate your card upon receipt; however, it will not be usable until November 30, 2018, at 12:00 a.m. Eastern Standard Time (E. T.). If you have not received your new travel card by November 9, 2018, please call Citibank at (800)-790-7206 or contact your A/OPC. Do not destroy your current travel card issued by JPMorgan Chase when you receive your new Citibank card. You will need your current JPMorgan Chase card until November 30, 2018, to make travel purchases prior to and to dispute any transactions after the cutover date of November 30, 2018. Note: Activation instructions will be provided upon card delivery. Go to question, "How do I activate my new card?" for additional activation instructions. How will I receive my new travel card? Citibank will send travel cards to HHS employees based on their mailing address information (either a home address or P.O. Box) on record with JPMorgan Chase. The cards will be sent to cardholders by November 9, 2018. Travel cards can be activated either online at https://www.cardactivation.citi.com/ or by calling the Citibank activation line at 1 (877) 905-1861. Both the web URL and the number will be displayed on the activation sticker of your new travel card issued by Citibank. When asked to enter the last four digits of your social security number or employee number, you will need to provide the last four digits of your social security number (SSN) for card activation (online and through the activation phone line). You must select a four-digit Chip PIN before your card is activated. That Chip PIN will be used in the future for purchases. Please make sure you keep your PIN number in a safe place. Citibank will not store your Chip PIN. Be sure to do this before you use your new card for the first time. Activation is only required once. Note: Although you may activate the travel card prior to November 30, 2018, it will not be usable until November 30, 2018, at 12:00 a.m. E. T. Activation instructions will be provided upon card delivery. What happens if I do not receive the new card by November 9, 2018? As a form of receipt, Citibank will be monitoring the activation of cards as they occur and will work with HHS to ensure cards are delivered on time. If you have not received your new travel card by November 9, 2018, call Citibank at (800)-790-7206 or contact your A/OPC for additional guidance. Is there anything I need to do to close out my old account? No additional steps are required. However, it is important to pay the full amount due to JPMorgan Chase on your old travel card or properly dispute improper charges on time. You can call JPMorgan Chase or go online to view your statement balance. Go to the Settings / Funds section, "How do I know what my travel card balance is?" question for more information about how to view and pay your statement balance. When can I begin using my new HHS travel card? Start using your new Citibank travel charge card on November 30, 2018, at 12:00 a.m.
On November 29, 2018, at 11:59 p.m., travel cards issued by JPMorgan Chase become inactive. Any charges to this card after this date and time will be declined. Do not destroy your current travel card issued by JPMorgan Chase when you receive your new Citibank card. You will need your current JPMorgan Chase card until November 30, 2018, to make travel purchases prior to and to dispute any transactions after the cutover date. Note: Cards should be activated immediately upon receipt. Follow the activation instructions provided on the card or see question, "I just received a JPMorgan Chase travel card for the first time. Am I still going to receive a new Citibank card due to the transition to the new bank?" for activation instructions. You also have the option of activating online. What do I do with my old HHS travel charge card? Travel card accounts by JPMorgan Chase will be closed on November 29, 2018, at 11:59 p.m. E. T. Charges applied to a closed charge card will be declined. After November 30, 2018, properly dispose of your old travel card and begin using your new travel card issued by Citibank. Contact your approving official for your agency's policies and procedures on charge card disposal. Will my new HHS travel card have the same account number as my old card? No. Your new HHS travel card issued by Citibank will have a new account number. I just received a travel card issued by JPMorgan Chase for the first time. Am I still going to receive a new travel card issued by JPMorgan Chase due to the transition to the new bank? If you received a travel card issued by JPMorgan Chase for the first time after October 25, 2018, you will not automatically receive a new travel card issued by Citibank. 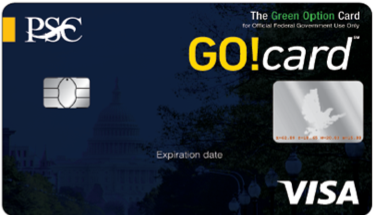 You will need to contact your A/OPC to receive a travel card issued by Citibank. If you received a JPMorgan Chase card prior to October 25, 2018, you should receive a new travel card issued by Citibank by November 9, 2018. Use the travel card issued by JPMorgan Chase through November 29, 2018, and begin using the travel card issued by Citibank on November 30, 2018. The expiration date on my travel card issued by JPMorgan Chase is after November 30, 2018. Does this mean I can still use it after the transition? No. All travel cards issued by JPMorgan Chase expire on November 30, 2018, at 12:00 a.m. E.S.T. despite the expiration date stamped on all travel cards. How is the process of paying my travel card bill (IBA) changing during the bank transition? For travel documents (authorizations or vouchers) created from October 1, 2018, to December 31, 2018, HHS travel cardholders will be reimbursed to their personal bank accounts for the allowable amount of their travel voucher claim for charges to government-issued travel cards. Please note that airfare, rail, and other fees will not be charged on IBA travel cards for reservations created during this time (rather charged to agency CBA). For any travel authorizations created or vouchers generated during this time, you will be responsible for paying your travel card bill in full to the bank(s). Please voucher within five (5) days of travel to receive timely reimbursement. This is a temporary reimbursement and payment process change during the bank transition. The current process, where the bank is paid directly by your OpDiv/StaffDiv or representative agency for allowable charges on the IBA travel card, will be on hold during this time. For any new travel reservations created on or after January 1, 2019 the process where HHS pays the bank will resume, and you can use IBA as form of payment method on authorizations and vouchers. For all other authorizations created before January 1, 2019, you must still voucher to receive reimbursement to your personal account even after January 1, 2019. 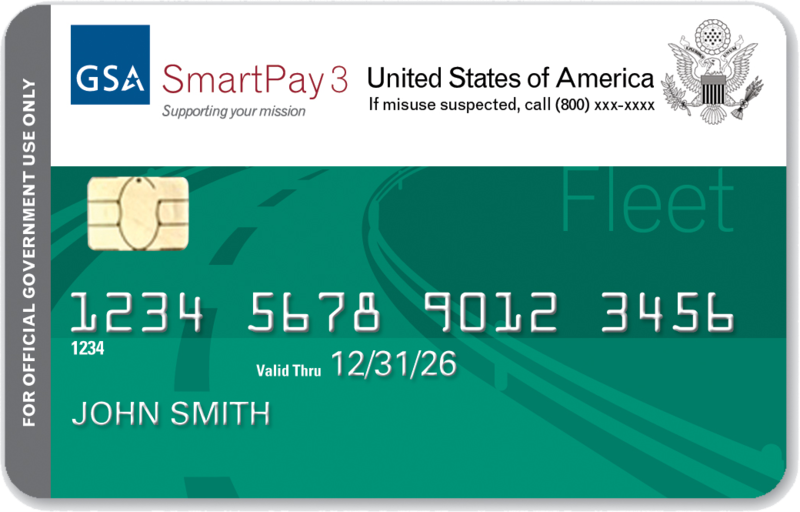 The SmartPay® 3 (SP3) Program Office is hosting weekly Town Halls on Temporary Travel Changes from October through December 2018. Please join a Town Hall session if you are an HHS travel cardholder, travel arranger (including executive assistants), or FATA completing government-sponsored travel from October through December 2018. You will learn about the temporary changes to travel booking, submitting vouchers, and payment processes using HHS travel cards. Please email smartpay3@psc.hhs.gov to attend one of the weekly Town Hall sessions. Mondays at 1:30 p.m. E. T.
Thursdays at 9:30 a.m. E.T. How will I know which bank to pay? You will pay your travel bill to JPMorgan Chase for any travel reservations and charges made using your JPMorgan Chase IBA card prior to November 29, 2018. Please note that you must still pay JPMorgan Chase even after the cutover date of November 29, 11:59 p.m. EST for travel reservations and charges made with your JPMorgan Chase card before the cutover. You will pay your travel bill to Citibank for travel reservations and charges made using your Citibank card from November 30 to December 31, 2018. Please note that you will still voucher out to your personal bank account and must pay JPMorgan Chase or Citibank after December 31, 2018, for any travel reservations created prior to December 31. For any new reservations created January 1 or after, the normal process where HHS pays the bank will resume, and you can voucher to your IBA account. Please note that you may not begin using your Citibank travel card (IBA) until November 30, 2018, at 12:00 a.m. EST. Will I be reimbursed during the bank transition? Yes, for vouchers from charges to your IBA travel card made prior to December 31, 2018, HHS will reimburse your personal bank account for the allowable amount of your travel voucher claim, so that you can pay your bill to the bank. Please take care to voucher within five (5) days of travel. During this time, pay attention to your travel card statements and determine the correct bank to pay, either JPMorgan Chase or Citibank, depending on which card was used. You must pay the full amount due on card statements received. Please consult with your financial office to determine if you must update your direct deposit information for receiving reimbursement. Do I need to do anything differently while vouchering from October 1 through December 31, 2018? When vouchering for your trip, the form of payment on your travel authorization may not match on your voucher. Vouchering within five (5) days of travel is important during the bank transition for timely reimbursement. Please see the SP3 Travel Playbook or contact your FATA for more information. Will there be additional changes in ConcurGov? Making reservations in the ConcurGov system will remain the same during the transition and you can use your IBA. However, during the transition, reservations made using your HHS travel card will result in that expense reflecting "personal" payment in the document (authorizations and vouchers). Ensure payment types in the documents you create (authorizations and vouchers) are not left blank during the transition. They should all show "personal." If you require assistance or more information please consult with your OpDiv Lead FATA or see the SP3 Travel Playbook. Do I need to enter my new card information into ConcurGov? No. Your new card will automatically be set up for you in ConcurGov. However, you should verify your travel card information and personal information in ConcurGov. What do I do if I am booking travel before November 30, 2018, but the trip I am booking occurs after November 30, 2018? The new card cannot be used at any time before November 30, 2018, even if the trip being reserved is on or after November 30. You should use your travel card issued by JPMorgan Chase for booking the travel in ConcurGov or with the Travel Management Company (TMC); however, be sure to take your new travel card issued by Citibank on your trip and apply all purchases to the new travel card starting November 30, 2018. What do I do if I am traveling during the transition (November 29 and 30, 2018)? If you are traveling during the cutover date of November 29 or on November 30, 2018, you must bring both your JPMorgan Chase and Citibank issued travel cards with you. You will need to physically check out with your new travel card issued by Citibank. As a best practice, you should change your billing information to the new travel card issued by Citibank at least one day prior to hotel checkout or car rental return. What if I am on extended temporary duty (ETDY) during the transition? This is a special circumstance that will require you to contact Citibank to have your new travel card shipped to you at your ETDY location. Please contact JPMorgan Chase to inform them of that location (if known) prior to October 25, 2018, or your A/OPC to inform them of this location if after October 25, 2018. Your OpDiv A/OPC and FATA will receive special guidance on handling the needs of travelers on ETDY and provide the address to Citibank if it was not updated by October 25, 2018 in the JPMorgan Chase PaymentNet system. How do I know what my travel card balance is? How can I pay my travel card bill? For additional guidance on how to access PaymentNet, set up bank information, and set up one-time payments, please reference the Travel Charge Card FAQs. How can I make sure my personal credit score is not affected when my old account is closed? There will be no impact to your personal credit score if no outstanding balance exists on your card at the time of closing. 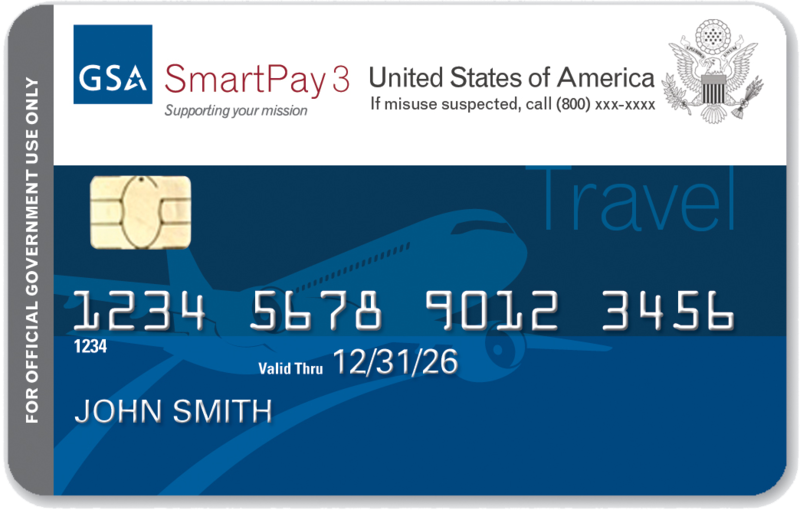 Take care to voucher for travel on time and pay your remaining balance on your JPMorgan Chase card prior to November 29, 2018.
Who do I contact if I have questions about using my new HHS travel card? Contact your A/OPC if you have any questions about your new travel card issued by Citibank. Who do I contact if I have questions about the temporary travel changes? Contact your OpDiv Lead FATA if you have questions about the temporary travel card reimbursement and payment process changes. Will there be a new customer service line provided? Yes. For all cardholder inquiries, you may call the Citibank customer service line at (800) 790-7206. Note: You will need the last four digits of your HHS employee ID for verification when calling Citibank's customer service line about your card. Your employee ID can be found on the back of your HHS Personal Identification Verification (PIV) card or by contacting your OpDiv/StaffDiv. Also note that, if you are an Office of the Inspector General (OIG) employee, the last four digits of your employee ID can be found on the ATA Welcome Screen. Commissioned Corps Officers with Common Access Cards (CAC) cards should contact their badging office (e.g., HHS Badging Office at (202) 205-5131 or Parklawn Badging Office at (301) 443-5533, Regional Area Manger (RAM), or Administrative Assistant (AA) to obtain their HHS employee IDs.